Raising of the Welsh Flag – ceremony at Naas Town Hall. 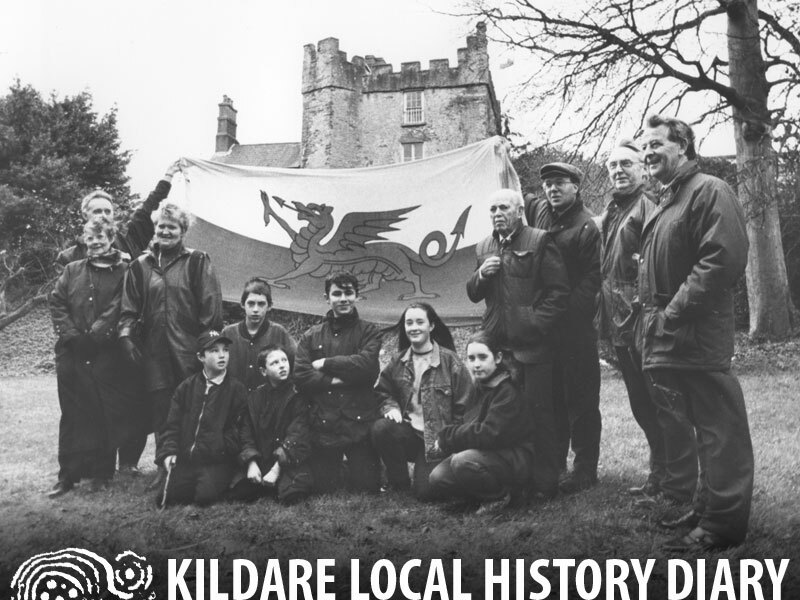 Naas Local History Group began the tradition of raising the Welsh flag on St. David’s Day in 1992 following the twining of Naas Town with St. David’s in Wales. 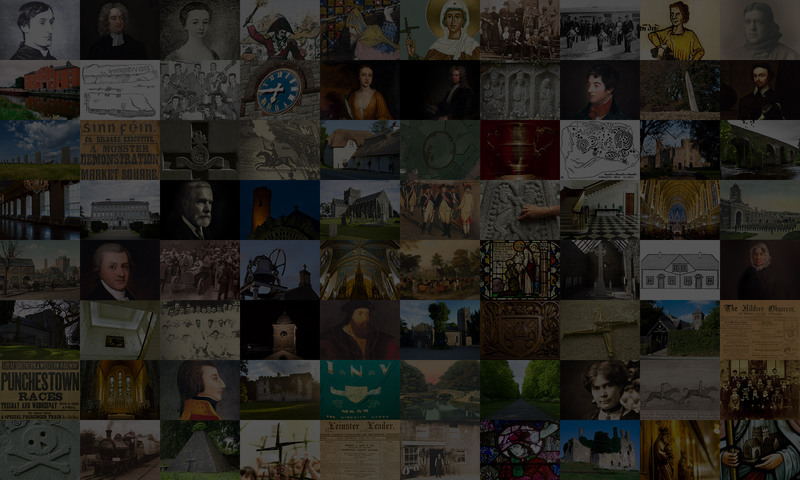 The ceremony also aims to commemorate the “granting” of the lands and town of Naas to Welsh-Normans in the late twelfth century and the subsequent connection with the Welsh patron saint. Originally the group raised the flag over St. David’s Castle when it was the home of the late Dr. Gibson (see Stan Hickey’s feature image). Since then the medieval fortified town house, located in the very centre of the town off the main street, has unfortunately been allowed to fall into dereliction and the flag is now raised over Naas Town Hall each year on, or around, St David’s Day – the first of March.